Blake Wall, 16, was the first of 45,000 Scouts and Scouters to step on the grounds of the 2010 National Scout Jamboree on Monday. The Life Scout from Troop 53, Winnsboro, La., population 21,263, is a member of Jamboree Troop 1508, Southern Region. Officially stepping off the bus at 7:27 A.M., Wall said that he was very excited and looking forward to the “new experience of the jamboree and meeting new people.” This is Wall’s first high adventure and first jamboree. The size of the site amazed him. “You could fit the whole population of my town in this campsite,” Wall said. Despite Wall’s bit of exaggeration, his troop arrived at Subcamp 15, located just east of the Mysterium Compass activity center. The trip to the jamboree site has been an adventure in itself. Wall and his fellow Scouts rode an Amtrak train from Louisiana to Washington, D.C. In the nation’s capitol, the troop visited the Smithsonian National Air and Space Museum. The Scouts spent Sunday night at the Christian Fellowship Church of Reston, Va., where they were fed breakfast before their final leg to Fort A.P. Hill. 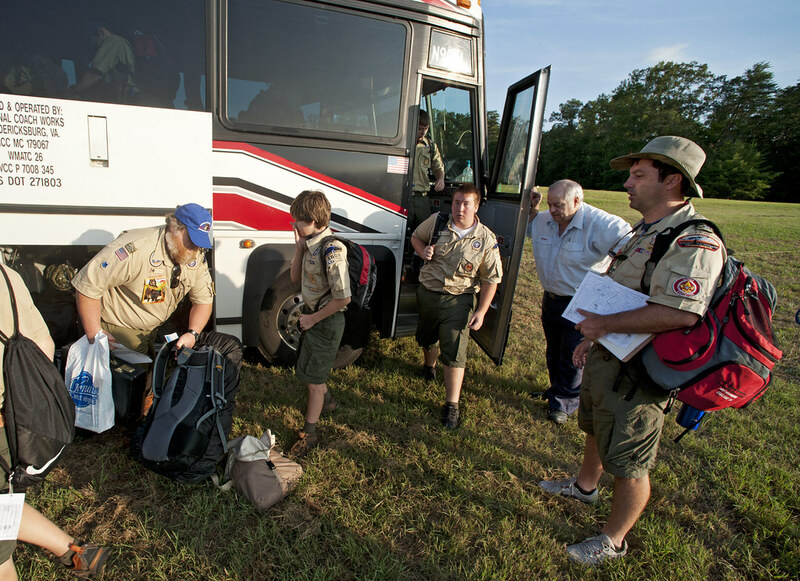 Rising at 4:30 A.M., the troop caught an early bus to the jamboree site and Wall’s date with history as the first scout at the centennial celebration of the Boy Scouts of America.